Devgamm 2015 and What’s Next? Home / Devgamm 2015 and What’s Next? Last week we grabbed our latest development build and headed over to Devgamm 2015 here in Hamburg. We’ll have a full dev blog post regarding our plans with the new and improved worldmap coming later this week. Finally, a small hotfix has been published to fix an issue related to the Fearsome perk. On the 10th and 11th of September we attended the DevGAMM 2015 here in Hamburg to present Battle Brothers to other developers of Indiegames and to make contacts with like-minded folks. This is why our presence over the past few days might have been a little scarce. 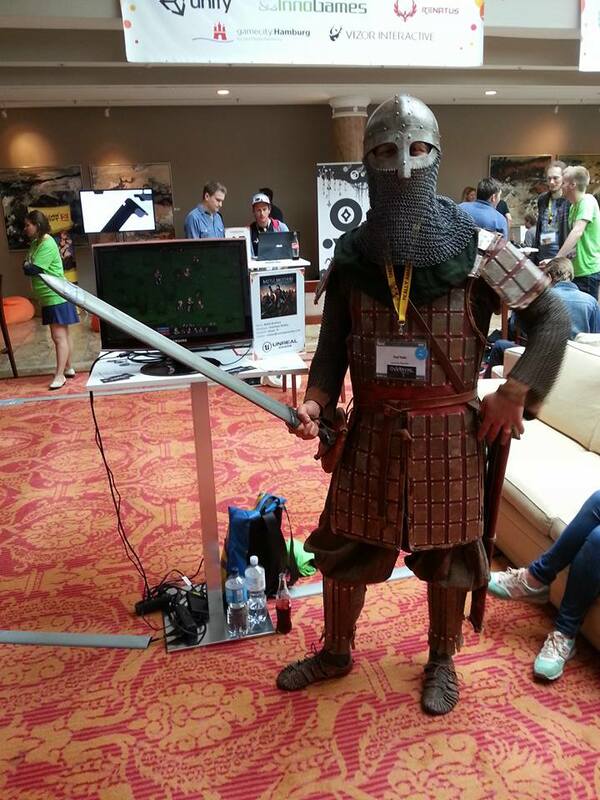 In order to get some attention for our showcase, Paul, our artist, threw on his Viking armor. Always handy to have one of those in the stash. 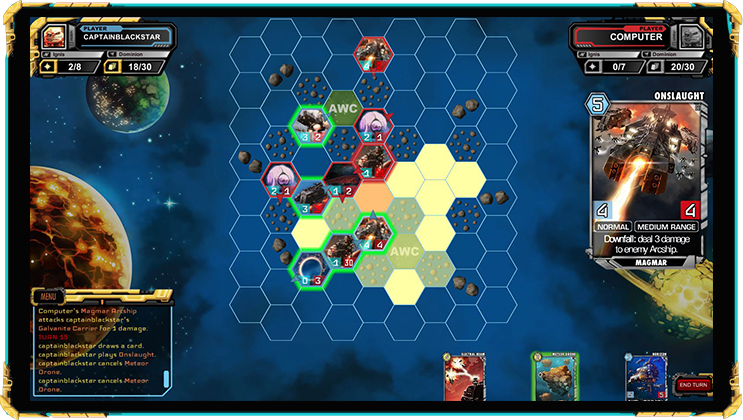 We met some great guys over there, so here is a shoutout to the folks behind “Shattered Worlds” – a great looking scifi-game that mixes deck building with tactical combat. We’ve since started on the worldmap rework that will keep us occupied for the next couple of months. The rework means extensive work on both visuals and gameplay, and will significantly change how the game is played. We’ll let you guys know of our plans with a full sized blog post later this week. You went to a gaming convention with a fake sword!!???! What kind of nerd are you? :p Hugo would deal with you accordingly! We can’t see your face, but we know you are smiling, and that’s very very good. Can’t wait to see what is expecting us in the new upgrade. Carry on with your good work dudes!